Naturopath and Nutritionist Lisa White, who is the creator and producer of the online cooking show Alternative Chef Kitchen and the author of "The Alternative Kitchen: A beginners guide to cooking without dairy, soy, gluten, egg or meat" joins eHealth Radio and the Nutrition & Weight Management Channels. How is Alternative Chef Kitchen different to all the other cooking shows and books out there? Who does this show really help? What inspired the creation of the show? Can you really make alternatives to anything? How do you make alternatives to milk or meat? Do you need expensive equipment? Do you need to use different foods? Shop at lots of different stores for obscure ingredients to make the recipes? What are 3 top tips for someone just starting out to cook this way? How do we watch the show, buy the book, find out more about the ecourse? Lisa White is a qualified naturopath based in Adelaide, South Australia where she helps people with food intolerances, plant based diets, women's health and natural fertility to optimise their health.She has two children and was inspired by her own personal experience with food intolerances and the needs of her clients in her clinic to produce a cooking resource to help people with restricted diets make tasty food at home with simple ingredients. 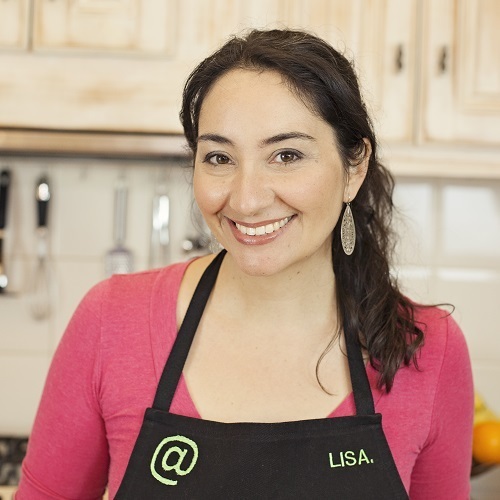 Lisa is a published author, and she and her recipes have been featured internationally in both print and digital magazines. In 2015 Lisa launched the uniquely educational and entertaining online cooking show Alternative Chef Kitchen and released her first book The Alternative Kitchen: A beginners guide to cooking without dairy, soy, gluten, egg or meat, which has been described by reviewers as "The bible when cooking for the food intolerant" (Simply You Magazine). Lisa has also created an e-course to further help people struggling with cooking around dietary restrictions called Your Alternative Kitchen. Lisa's qualifications include a Bachelor of Science degree with Honours from Flinders University in South Australia as well as Advanced Diplomas in Naturopathy, Nutrition and Herbal Medicine. She is a Trained Teacher in Natural Fertility Education and is a full member of The National Herbalists Association of Australia.